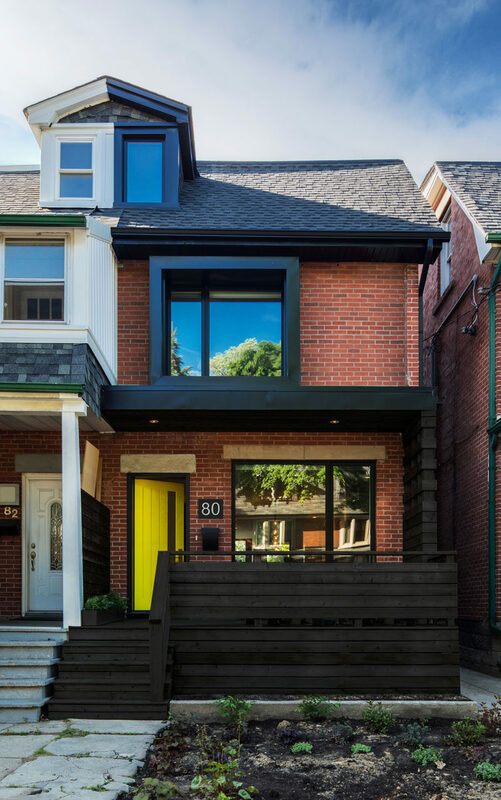 Post Architecture have updated this semi-detached home in Toronto, Canada, that was originally a mirror image of its attached neighbor. 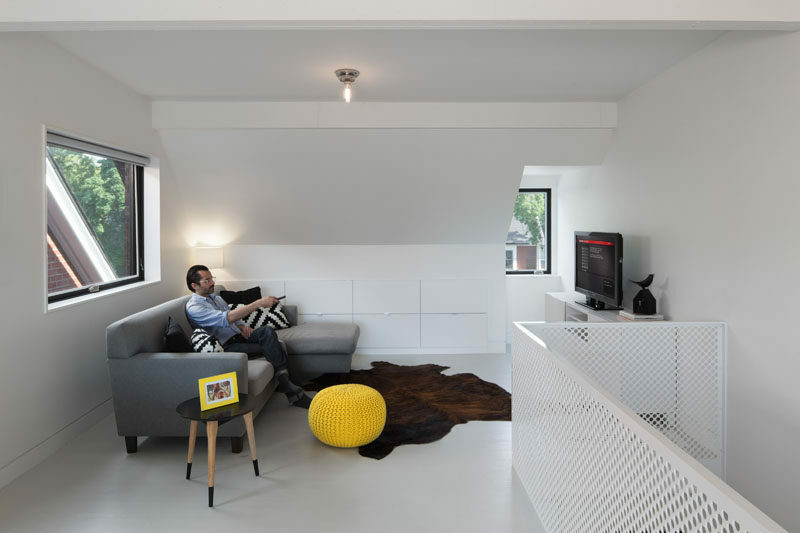 Inside the home, the interior has been brightened up with white walls and a light wood floor. 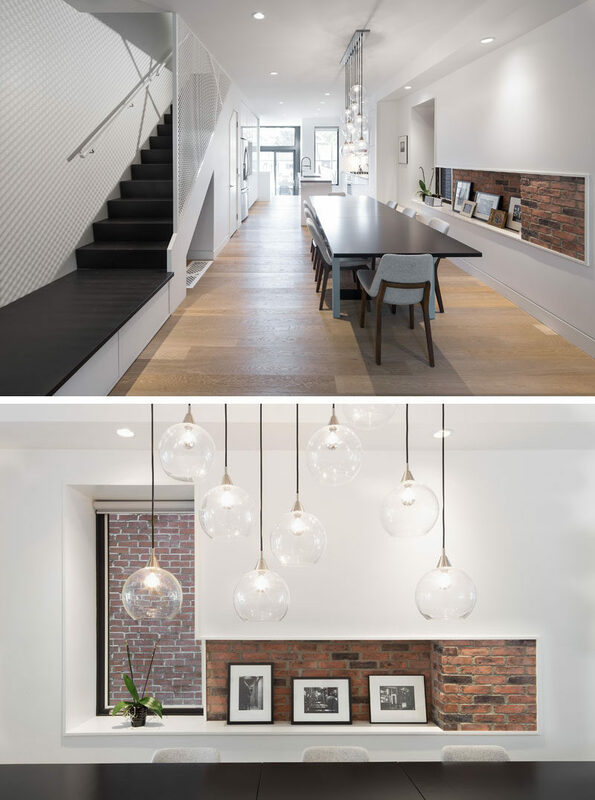 A glimpse of the original brick wall has been incorporated into a small shelving nook beside the dining table. 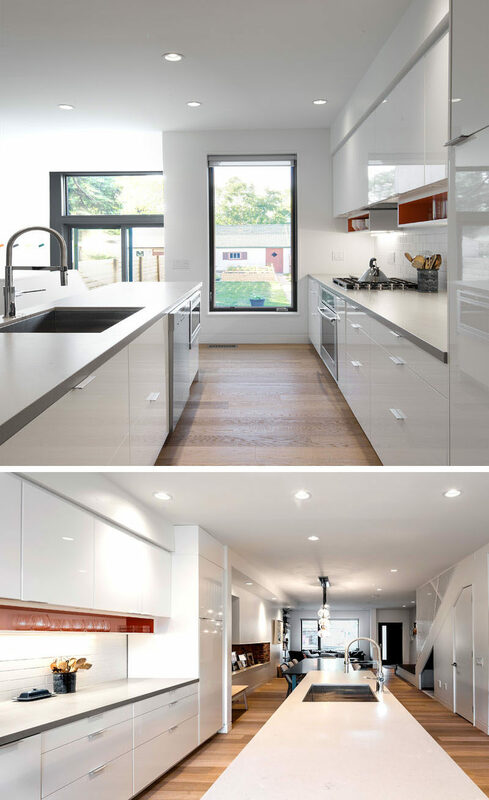 Further into the home is the kitchen, it too has been kept white. To break up the white kitchen, a light gray countertop and colorful shelves under the upper cabinets have been installed. 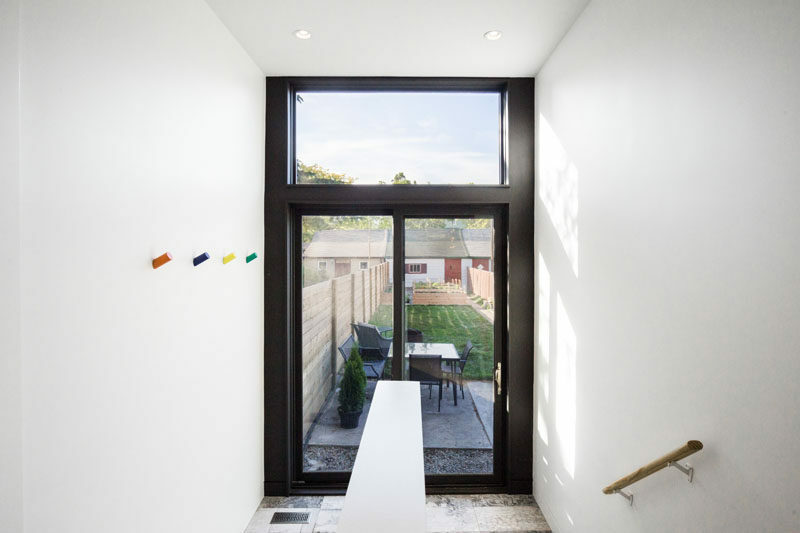 A vertical window provides natural light and views to the backyard. Just off to the side of the kitchen are some stairs that provide access to the backyard, where there’s a small patio. 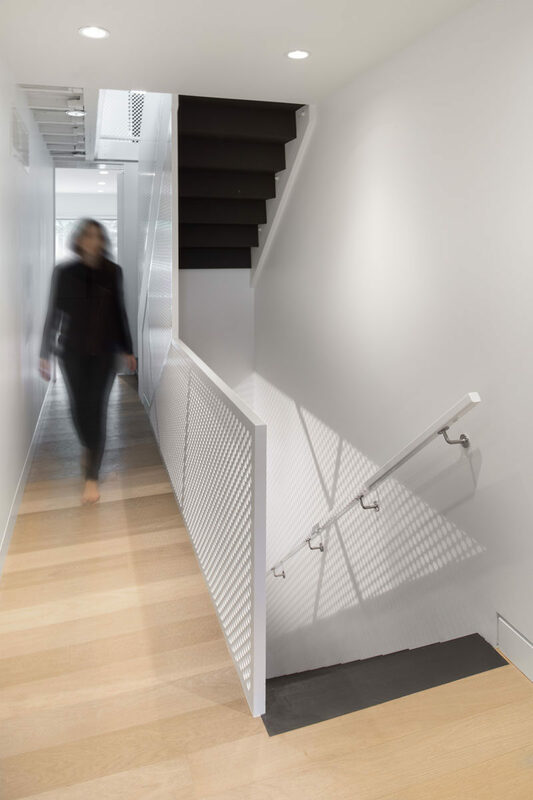 Back inside, the stairs by the dining table have storage underneath them, perfect for keeping shoes hidden away. 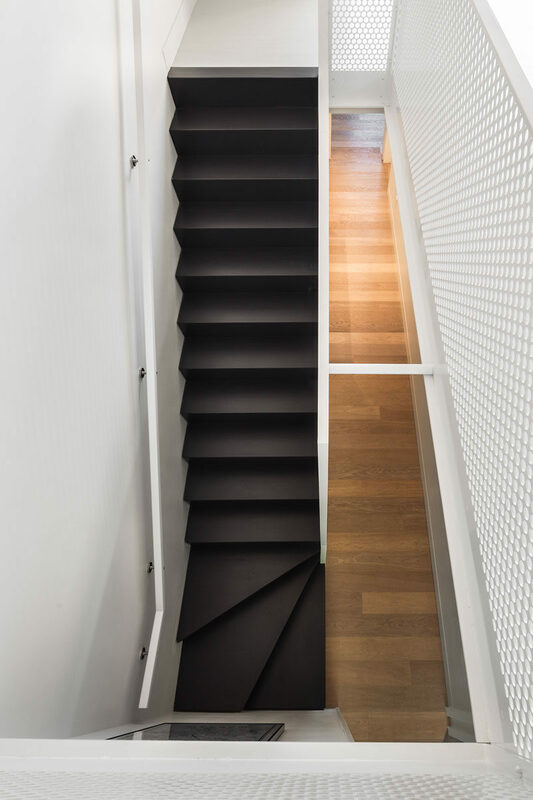 The dark stairs are a strong contrast to the rest of the home. Upstairs are the bedrooms. 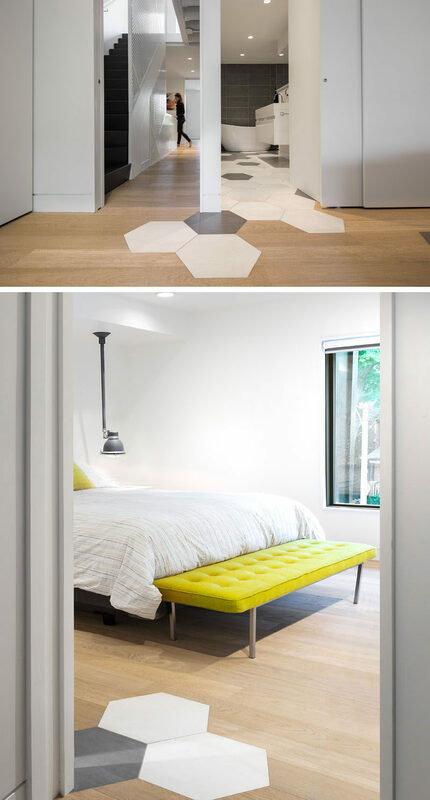 In this bedroom and ensuite, large hexagonal tiles flow from the bathroom floor into the bedroom. 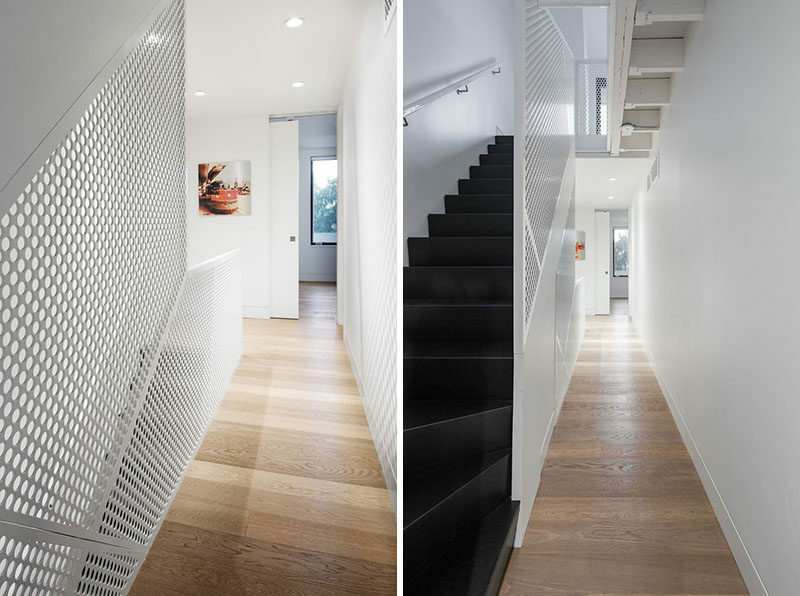 A white mesh steel screen has been used as a safety barrier for the dark stairs. 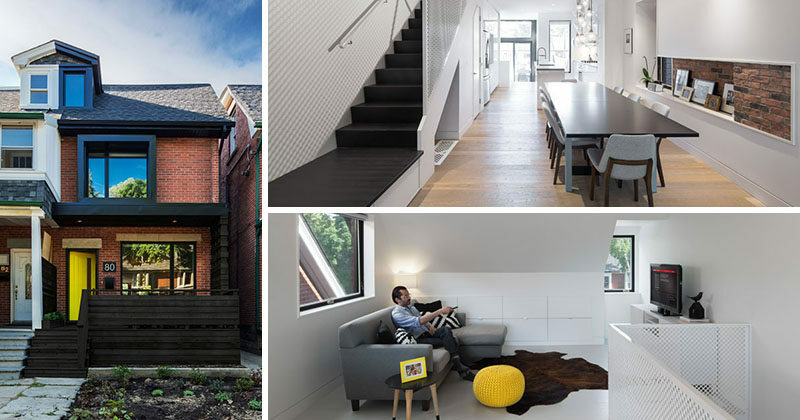 On the top level of the home is a relaxing space for the homeowners. And tucked away in the mudroom is a custom-built dog wash station, that has a step (with storage) for the dog to easily get in and out.